On page 6 of the letter is a section on "Efforts by the asbestos industry to intimidate and silence scientists". In this section, it tells how the Quebec asbestos industry has called the health experts who work at the governments' National Public Health Institute "a little band of Talibans" for opposing asbestos use. And it tells how the asbestos industry in India is threatening scientists. On page 7, the 100+ scientists who signed the letter make the following appeal to Premier Charest "These actions by the asbestos industry to intimidate and silence scientists are a threat to scientific and academic freedom of speech by vested interests and we call on you, on the eve of your trade mission to India, to categorically condemn such actions against scientists and to give your unequivocal support to your government’s own health scientists." proven impossible anywhere in the world. called for use and export of asbestos to end. estimate of 268 cases of lung cancer). where surely there is more than enough injustice and suffering already. INSPQ reports 222, 233, 250, 293, 393, 616, 651, 815, 927, 942, 953, 954, 968, 986 & 1002. According to a spokesperson for Quebec’s Occupational Health & Safety Commission (CSST), the government of Quebec has adopted a "zero tolerance" policy for exposure to asbestos.17 We applaud your government for seeking thus to protect Quebec workers from asbestos harm. We call on you to show equal concern for the lives of workers in the developing world. 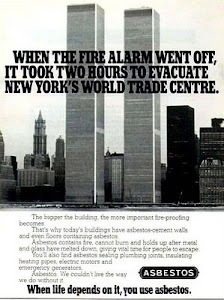 We are deeply troubled that, instead, your government is endorsing the position of the Chrysotile Institute, telling developing countries that exposure of 1 fibre of chrysotile asbestos per cubic centimetre of air (1 f/cc) is perfectly safe for them18. While this is indeed the position of the asbestos industry, it is not the position of independent experts. The WHO, the Canadian Cancer Society, the U.S. Surgeon General, the fifty countries who have banned chrysotile asbestos, state that there is no safe exposure level for chrysotile asbestos. Exposure levels of 1 f/cc will cause unnecessary disease and death for those exposed. We find it shocking that the exposure level you endorse for people overseas is a ten times higher than the level permitted by all of the other provinces in Canada, by the U.S., by the European Union and by other Western industrialized countries. It is one hundred times higher than the exposure level permitted in several countries, such as Germany, Switzerland and the Netherlands. 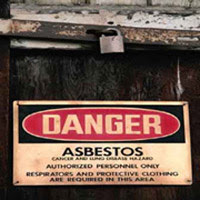 A recent CBC documentary Canada’s Ugly Secret20 showed workers in India handling Quebec’s asbestos who are exposed to far higher levels than 1 f/cc. 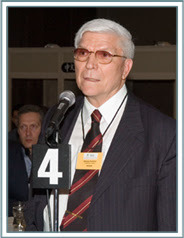 lobby group for the Quebec asbestos industry funded by your government22 and on whose board a representative of your government sits23) is Christopher Booker, who has no apparent scientific credentials and who considers climate change, harm from chrysotile asbestos, harm from tobacco smoke and harm from lead in gasoline to all be hysterical hoaxes24. Recently, the Pro-Chrysotile Movement and Dr Jacques Dunnigan (a long-time employee and spokesperson for the Chrysotile Institute) falsely presented to the Quebec public a U.S. Dept of Health CERCLA Priority List of Hazardous Substances25 as evidence proving that chrysotile asbestos is a low threat to health, noting that chrysotile asbestos is #119 on the list. have seen that amosite asbestos, which they themselves recognize as an extremely hazardous substance, is listed at #131, as less hazardous than chrysotile asbestos, and plutonium, an extremely deadly substance, is listed at #121. NOT a list of most toxic substances and should NOT be treated as such26. Agency for Toxic Substances & Disease Registry, What is the CERCLA list? Canada could demonstrate such extreme ignorance and irresponsibility, but the alternative explanation of deliberate deception is even more disturbing. industry. In response to complaints, the Radio-Canada Ombudsman ruled that le Téléjournal’s program was biased and violated the journalism standards of Radio-Canada. We note with dismay that the asbestos industry, as well as Laurent Lessard, a minister in your government who represents the asbestos mining area, have vilified and threatened your government’s National Public Health Institute (INSPQ), thus creating a climate of intimidation to inhibit these health professionals from practising independent science without fear or favour. Bernard Coulombe, who is a director of the Chrysotile Institute and president of the Jeffrey asbestos mine, has called the INSPQ “a little bunch of Talibans”28 and Minister Lessard has spoken of “repercussions” on the INSPQ29. 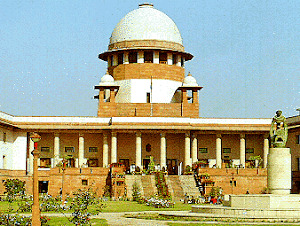 We are extremely disturbed that the asbestos industry in India - Quebec’s number one asbestos customer, with whom the Quebec industry works closely - has recently sent letters to a number of scientists in India saying that legal action will be taken against them if they do not retract their statements and published articles concerning the threat to health posed by chrysotile asbestos. The asbestos industry, including the Quebec Chrysotile Institute that your government funds, has a long history of seeking to silence, by lawsuits or other means, those who oppose use of asbestos. In November 2007, the Quebec Chrysotile Institute filed a lawsuit in France against the National Association of Victims of Asbestos (ANDEVA), causing them financial and human costs, only to withdraw the case on the court-house steps in March 2009 after the Association refused to be intimidated. Sherbrooke Record, Quebec sending mixed messages on support for asbestos industry, Dec.
thus also jeopardizing the mandate of the Convention. countries be informed that a substance they may import is hazardous. convention and thus deny a basic human right that is taken for granted in Quebec itself. lives were less deserving of protection than others. ask you to show similar commitment to implementing the UN Rotterdam Convention. trade mission to India, to show the integrity and honour that the world expects of Quebec. 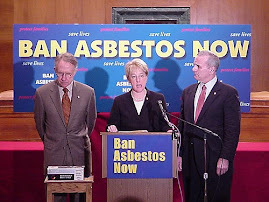 lobbying of the asbestos industry. anticipation to receiving your response. Professor of Medicine, Brown University School of Medicine, U.S.
Director, Children's Environmental Health Center, Mount Sinai School of Medicine, U.S.
and Environmental Medicine, Mount Sinai School of Medicine, U.S.
- Dr Guadalupe Aguilar Madrid, Unidad de Investigación en Salud en el Trabajo. Occupational and Environmental Medicine Michigan State University, U.S.
Institute of Environmental Health Sciences, U.S.
Medicine, UMDNJ-Robert Wood Johnson Medical School, U.S.
Public Health and Health Sciences, U.S.
Graduate School of Public Health, University of Pittsburgh, U.S.
University School of Public Health, U.S.
- Dr Robert B. Cameron, M.D., Professor of Surgery, UCLA, U.S.
University of California School of Medicine, U.S.
University of Chicago, Scholar in Residence, National Academies, U.S.
Occupational Medicine, University of Illinois at Chicago Medical Center, U.S.
Biostatistics, School of Public Health, University of Illinois at Chicago, U.S.
Health and Sustainability, University of Massachusetts, U.S.
Assessment and Research for Prevention (SHARP), Washington, U.S. Nursing, University of Iowa, U.S.
School of Public Health, Boston, U.S.
- Dr Linda Rosenstock, M.D., M.P.H., Dean, UCLA School of Public Health, U.S.
- Dr Harlal Choudhury, Ph.D., DABT. Non-Resident Indian Scientist, U.S. Elimination Network (IPEN), Chicago, U.S.
- Dr Debdas Mukerjee, M.Sc., Ph.D. Non-Resident Indian Scientist, U.S.
Ces massothérapeutes ne travaillent pas dans des cliniques 24 heures , ne sont pas 'discrets', n'offrent ni des massages sensuels ni des massages 'abstraits', ce ne sont pas des escortes et ne visent pas uniquement les adultes.Ce sont des massothérapeutes offrant un service de massage professionnel à Montréal et les environs.